Major agriculture in Guatemala today includes sugarcane, coffee, bananas, and corn, as well as livestock including cattle. Guatemala, a Central American country known for its volcanoes, rainforests and ancient Mayan sites. Guatemala's natural resources include petroleum, hydro power, fish, rare woods, and nickel. Guatemala has a total of 33 volcanoes. The official name of the country is the Republic of Guatemala. The literacy rate in Guatemala is 71%. The tallest pre-Columbian structure in the Americas is Temple IV in Tikal. It stands at 212 feet. The longest river in Guatemala is the Motagua River. It is bordered by Mexico to the north and west, the Pacific Ocean to the southwest, Belize to the northeast, the Caribbean Sea to the east, Honduras to the east and El Salvador to the southeast. Guatemala has a tropical climate, being hot and humid in the lowlands and cool in the highlands. As of 1 January 2016, the population of Guatemala was estimated to be 16,514,591 people. It is the most populous state in Central America. Guatemala has a total area of 108,890 square kilometers (42,042 square miles). Guatemala City, locally known as Guatemala or Guate, is the capital and largest city of the Republic of Guatemala, and the most populous in Central America. Fast paced and vibrant, it is a interesting blend of old and new and possesses a distinct Latin charm. Major industry in Guatemala today includes sugar, textiles, clothing, chemicals and furniture. Guatemala is mountainous, except for the south coastal area and the vast northern lowlands of Petén department. Volcán Tajumulco is a large stratovolcano. It is the highest mountain in the country and in Central America at 4,220 meters (13,845 feet) above sea level. In Tikal, Guatemala there are approximately 3000 Mayan buildings that date between 600 BC and AD 900. Guatemala is home to 37 volcanoes, 3 of them still active. The name Guatemala is an Aztec word meaning “land of trees” and forests still cover a third of the country’s surface area. During the Guatemalan Civil War approximately 200,000 people died and half a million were displaced from their homes. Guatemala’s coastline along the Pacific Ocean and the Caribbean Sea totals 400 kilometers (249 miles). Belize used to be a part of Guatemala but was given to Britain. Britain had promised some highways in return but they were never built. Its Pacific Coast is lined with hundreds of beaches, all of which are covered with black volcanic sand; while narrow stretch of Caribbean coast is covered with white sand. The other half of Guatemalans are called Ladinos, who are of Spanish-Mayan ancestry. There are over 30 national parks and preserved areas located in Guatemala. The Tikal National Park, created in 1956, is the oldest and most famous of Guatemala’s national parks. It encompasses 575 square kilometers (222 square miles) of jungle and thousands of ruined structures. It was declared a UNESCO World Heritage Site in 1979. The Guatemalan currency is the Quetzal, and the U.S. dollar is also used. Guatemala has 3 UNESCO world heritage sites. The first chocolate bar was invented by the Mayans in Guatemala. Quiriguá is an ancient Maya archaeological site in the department of Izabal in south-eastern Guatemala. It contain the largest stelae ever discovered in the Mayan world and many other outstanding monuments. It was declared a UNESCO World Heritage Site in 1981. Approximately half of the Guatemalans living today are descendants of the ancient Mayans. The population of Guatemala today is more than 14 million people. Guatemala is the second-most populated country in both South and Central America. Antigua Guatemala is a city in the central highlands of Guatemala famous for its well-preserved Spanish Baroque-influenced architecture as well as a number of ruins of colonial churches. It served as the capital of the Kingdom of Guatemala. It was declared a UNESCO World Heritage Site in 1979. The capital of Guatemala is Guatemala City. Lake Atitlán is a lake in the Guatemalan Highlands of the Sierra Madre mountain range. It as been described by many as the most beautiful lake in the world. Lake Atitlán sits at 1,538 meters (5046 feet) above sea level and is surrounded by hills and volcanoes. Evidence of human life in the Guatemalan region dates back to 12,000 BC. Pacaya is an active complex volcano and rises to an elevation of 2,552 meters (8,373 feet). It is a popular tourist attraction offers the chance to witness volcanic activity first hand. So far, the last activity reported has been the eruption that peaked on March 2, 2014 causing ash to rain down in Guatemala City, Antigua and Escuintla. The main language spoken in Guatemala today is Spanish. There are 21 other Mayan dialects spoken in Guatemala. Chichicastenango Market known locally as “Chichi”, is no.1 shopping destination of Guatemala. Located between two and three hours southwest of Guatemala City, ChiChi may be home to the brightest and most vibrant native market in all of the Americas. The local vendors sell a huge variety of goods, including masks, textiles, jewelry, pottery, fabrics, and more. Guatemala's motto is the 'Country of Eternal Spring'. Once the site of the impressive ancient Mayan civilization, Guatemala was conquered by Spanish conquistador Pedro de Alvarado in 1524. They seperated from spain in the year 1821 and became a republic in 1839 after the United Provinces of Central America collapsed. Guatemala is the largest economy in Central America. Tourism is one of the main drivers of the economy. Because of the high rates of organized crime in Guatemala, the country has one of the highest murder rates in the world. The top exports of Guatemala are Raw Sugar, Bananas, Coffee, Precious Metal Ore and Gold. The largest collection of UNESCO World Heritage sites in any country are found in Guatemala. Guatemala produces more jade than anywhere in the world, and its importance is visible in the National Museum of Archaeology and Ethnology in Guatemala City. Major imports into Guatemala include fuel, transportation equipment, grain, fertilizer, chemical and mineral products and plastics. Many traditional foods in Guatemalan cuisine are based on Spanish and Mayan cuisine and prominently feature corn, chilies and beans as key ingredients. Pepián is one of the oldest dishes in Guatemalan food heritage, borne out of the fusion of the Spanish and Mayan cultures. It is a hearty meat, vegetable and spice stew. The mathematical concept of 'zero' was invented by the Mayans. Quetzal is the currency of Guatemala and also the national bird, it is a fragile and rare animal. The bird´s tail feather was used for trade back in the Maya Empire. There are still 22 different varieties of original Mayan languages are being spoken in Guatemala until this date. There are approximately 2.3 million internet users in Guatemala. Guatemala is the birth place of blue denim. For travelers with a sweet tooth, Guatemala and its rich chocolate heritage allow for an indulgent trip. The highest point in Guatemala is Volcano Tajumulco which stands at 4,211 feet. Miguel Ángel Asturias is the only Guatemalan to win a Nobel Prize. He won the Nobel Prize in Literature. 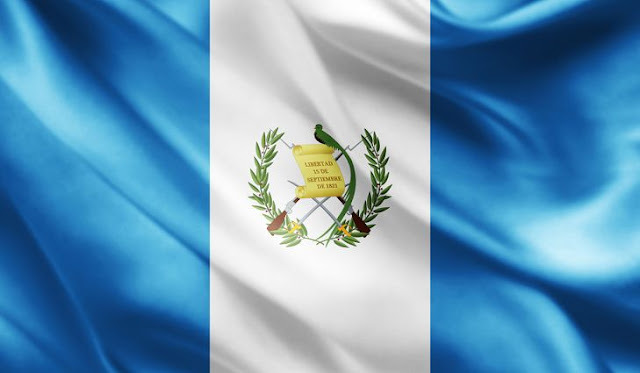 Guatemala's Independence Day is celebrated on September 15th each year. This day commemorates Guatemala's independence from Spain. United Fruit Company’s main rival was Guatemala, who exported lots of fruit. To eliminate them, United lied to the US government that Guatemala’s government was Pro-Soviet. The US staged a coup, which led to the 36 year long Guatemalan civil war. Major exports from Guatemala include meat, fruits and vegetables, sugar, coffee and cardamom.